There is little information on file about this artist. 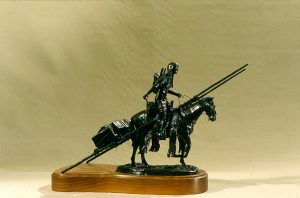 His sculpture was given by Richard E. Person, Holdrege, in memory of his wife Charlotte E. Person. The work was a gift in 1989.